Place tomatoes in a blender add salt and puree. Hang in cheese cloth for 24 hours. 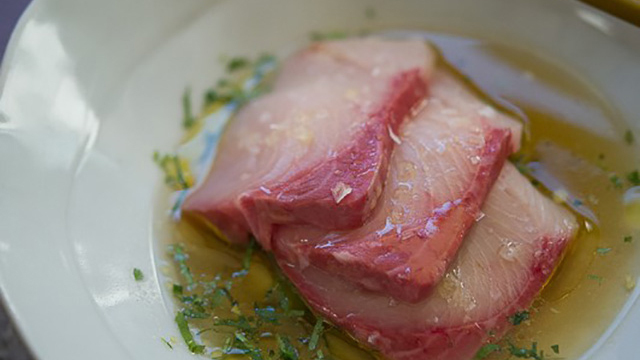 Slice the hamachi thin and drizzle with olive oil and season with sea salt. Place a spoonful of salad on the bottom of a plate. Lay a couple of slices of fish over the salad. Finish the dish by pouring some of the broth around the bottom of the plate.